Multifunctional: Music Playing + Answer/Reject/Hold on Calls + Volume Control. 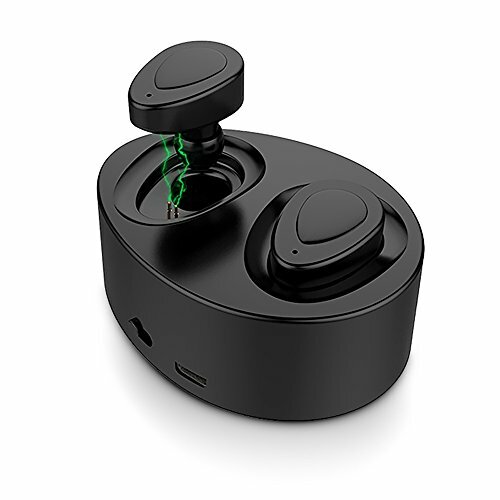 Bluetooth v4.1 + EDR intelligent noise cancelling earpiece, easily and quickly pairing with your smart phones, play music or call, enjoy the high definition sound quality. Lightweight and greater stability, comfortable to wear. Convenient to carry the cordless mini headphones.